We welcome 2 pets per apartment home. There is a $500 pet deposit ($250 is non-refundable) per pet. Pet rent is $20. There is a weight limit of 35 pounds per pet, and aggressive breeds are prohibited. Please call our leasing office for complete pet policy. A welcoming, refreshing swimming pool and clubhouse set the stage for enjoyment, with picnic and barbecue areas also nearby. When needed, complete last-minute business with complimentary copy and fax service. If keeping in top physical shape captures your interest, enjoy our fitness center, which is accessible 24/7. A lighted sports court is also available. Your four-legged friends will love spending time at the on-site bark park. There is plenty of surface parking, but covered, reserved parking is available. Package-receiving and twenty-four-hour emergency maintenance services are available. 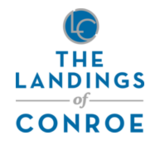 Come see this gated, pet-friendly community near Lake Conroe.